Construction: 1055 carbon steel; overall: 40.5"; blade: 24" L carbon steel L standard edge L black finish; handle: black L polypropylene; other info: tanto blade is dipped in a special anti-rust solution before having a baked on finish applied. 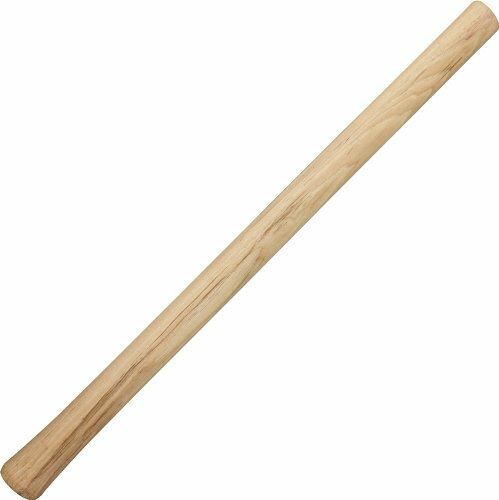 Hand guard. Lanyard hole. 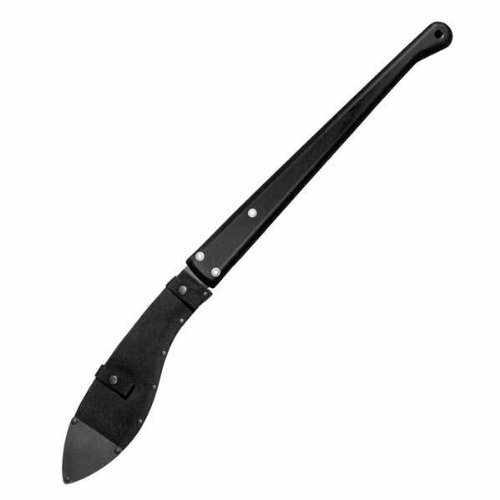 Sheath. 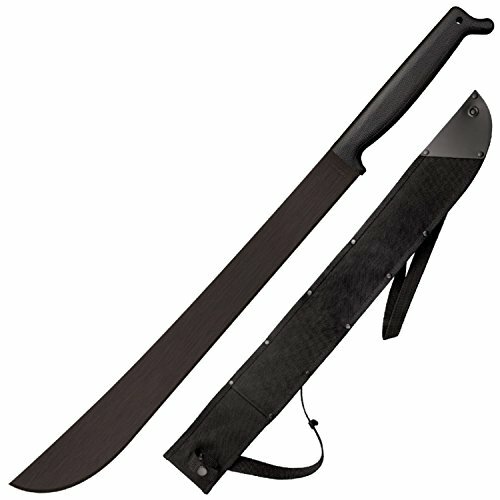 Cold Steel Two Handed Kukri Machete Sheath. 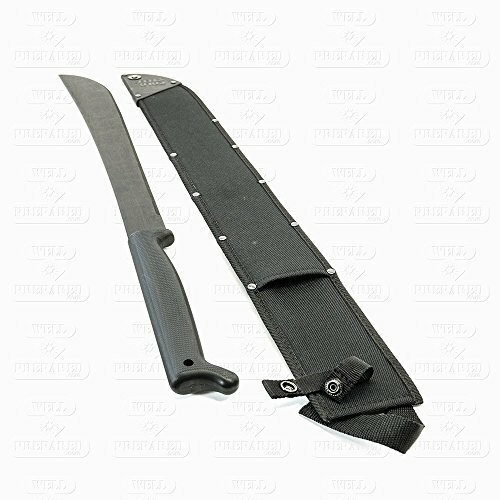 These Cold Steel machete sheaths are made of tough, black cordura. Sheath only. Machete sold separately. Made in Taiwan. Features: Color: Black. Material: Cordura. 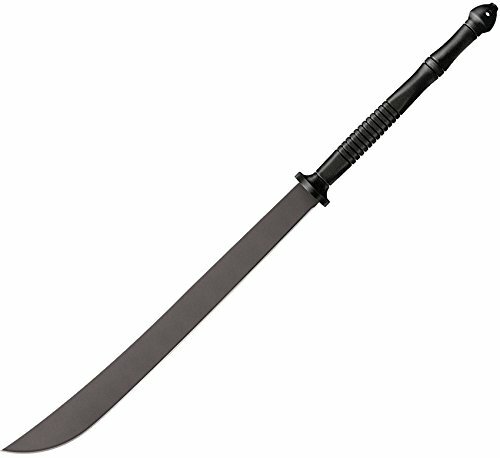 For Cold Steel Two Handed Kukri Machete. Contents: Cold Steel Two Handed Kukri Machete Sheath. Two-Handed Kukri Machete MASSACRE! Zombie Go Boom!